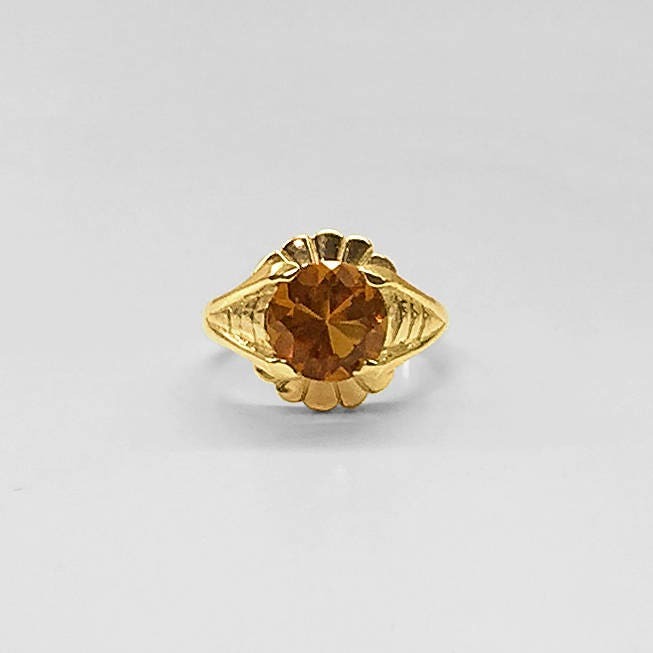 This ring, with its sleek lines, was designed and handmade in our own workrooms. 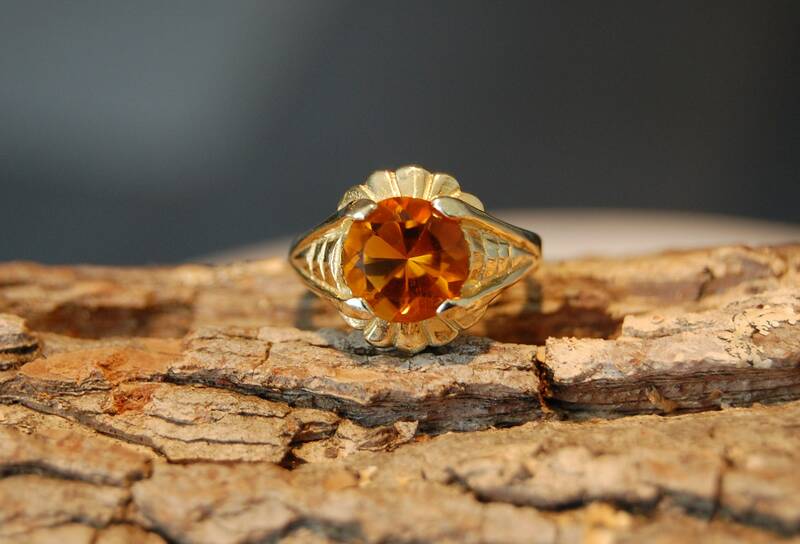 The well made substantial piece is 14K yellow gold and prong set with a beautiful round faceted Madeira citrine (topaz) weighing 348/100 carats (8.4 millimeters). 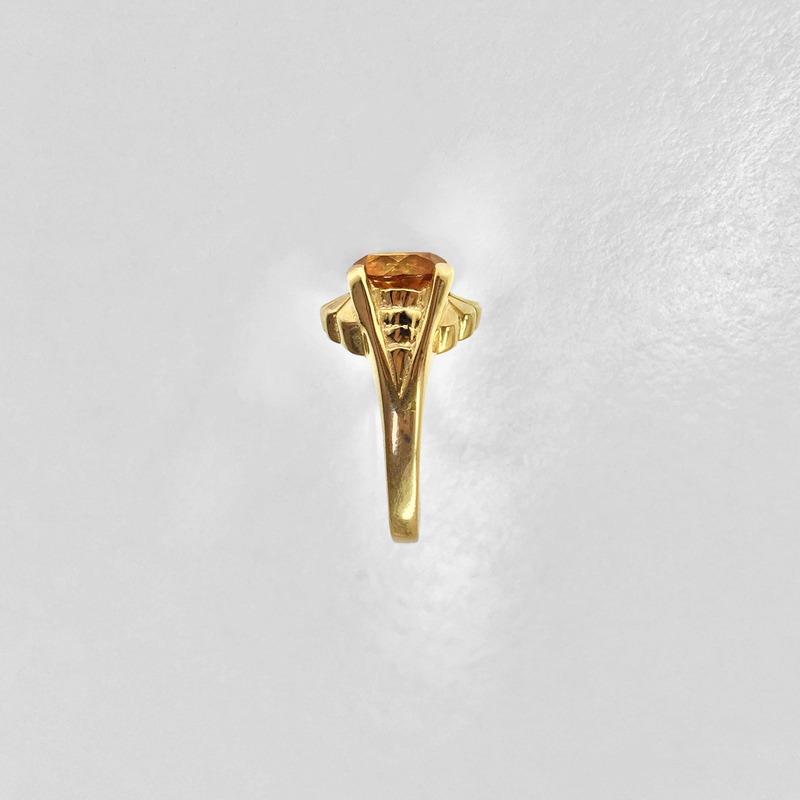 This is the birthstone for the November born. We could reproduce this ring in any precious metal (any carat or color of gold as well as silver or platinum) and set it with the gem of your choice. 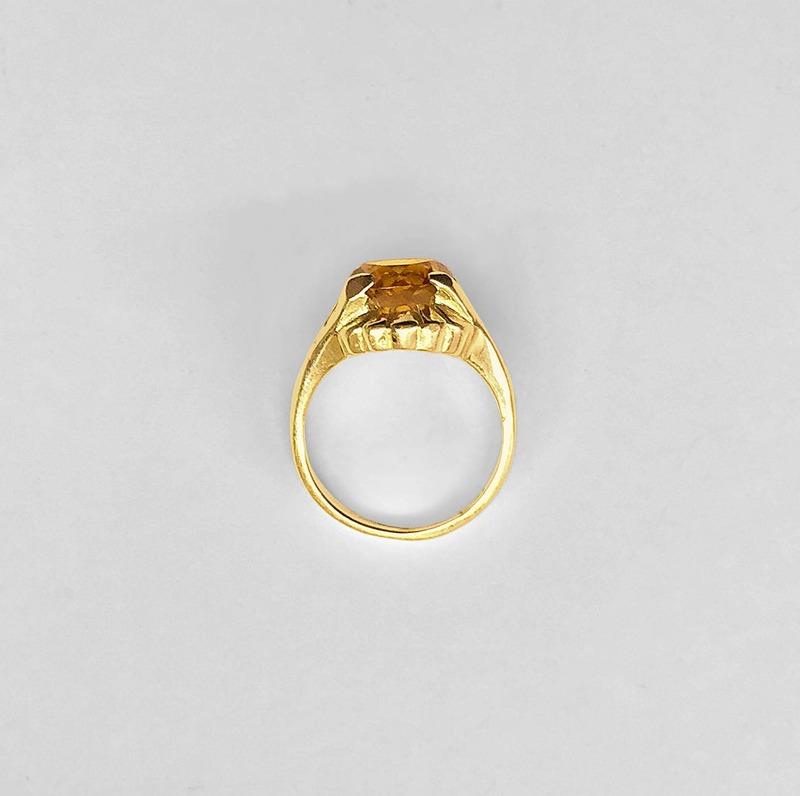 The ring is currently a size 5 but could be sized easily to fit your finger. Wouldn't it be gorgeous with a 2 carat diamond in platinum as a engagement ring?